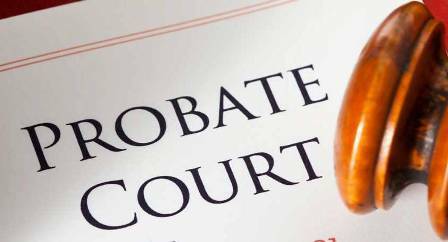 Probate Court is a special court that deals with the administration of the estate once a person dies. The Court is in charge of distributing the decedent’s property and the decedent’s assets. Florida State law and probate law regulates the entire legal process. Depending what type of asset that you need to Probate, different Florida Laws could apply for your specific Probate matter. That is why it is important to make sure that you hire an attorney that is experienced in Probate matters because there could be specific issues that must be addressed to your situation. Probate begins by, either, a family member or the deceased person’s attorney filing a petition to begin the probate process. The Court will then check to see if the deceased person died with or without a will. A will is a legal written document where one states how to distribute their assets after they die and sometimes appoints a personal representative. If the person died without a will, then they died intestate and the court judge would appoint a personal representative. The personal representative distributes the assets to the persons listed in the will and is in charge of paying estate taxes the deceased person owes. If a person dies with a valid will, then the Court is to distribute the decedent’s assets to whom the decedent listed on the will. The personal representative would be in charge of paying the estate’s creditors, paying the estate taxes, and distributing the assets to the beneficiaries. The personal representative would need to find out what the decedent owned, was the decedent the sole owner, and what type of asset was it. The most common assumption about a Will is that a Will automatically transfers the title of the assets to the beneficiaries. That is not the case. In order for the intended beneficiaries to received what they are entitled under the Will they must first Probate the Will. If a person dies without a valid will or without a will at all, then the estate would be distributed by intestate succession. Every state has statutes that govern intestate succession and what the break down is for the distribution. Intestate succession distributes the estate to the deceased person’s next of kin. The estate first gets distributed to the decedent’s surviving spouse. From this point, intestate succession state law governs to who gets part of the estate. Eligible people to inherit the decedent’s estate is his/her children, grandchildren, siblings, parents, parents, and aunts and uncles. Depending where you are in the family tree it will depend if you receive under Florida Law. However, there are ways to avoid probate by the decedent’s estate planning. A person may want to avoid probate in order to avoid the time delays or the costs and fees that comes accompanied by probate court. The deceased person may have a small estate which are sometimes exempt and allow for a faster process. The size that the estate would have to be depends on state law and statutes that determine the eligibility. Another form of estate planning would be by establishing a living trust. A living trust would forego the need for probate because the trust is under the control of another person who is in charge of distributing the trust based on the trust agreement. However, if the decedent is a named beneficiary in the trust then there would be a need for probate. A trust is where one person holds something for the benefit of someone else. Unlike a will that is mainly to distribute the decedent’s assets and estate after death, a living trust is where a decedent can basically place his/her assets in a trust that is managed by a trustee who is to distribute it to beneficiaries based on what is outlined in the trust agreement. Another way to avoid probate is to make sure that all bank accounts, insurances, and retirement plans have beneficiaries listed. If they do, then there is no need to probate because those assets automatically pass to the beneficiaries; if there is no beneficiary listed, then probate would need to ensue to determine the next of kin. https://joselorenzolaw.com/wp-content/uploads/2019/03/Probate-court.jpg 242 448 joselorenzolaw https://joselorenzolaw.com/wp-content/uploads/2019/02/logo-01-3-300x153.png joselorenzolaw2019-03-21 14:26:332019-03-21 14:35:41What is Probate Court?